Through four games, Ball State is 38 percent (25-of-65) on third down. This number puts the offense near the bottom in the Football Bowl Subdivision. Ineffectiveness on third down has forced the Cardinals to settle for field goals in situations where a touchdown could have been the backbreaker. 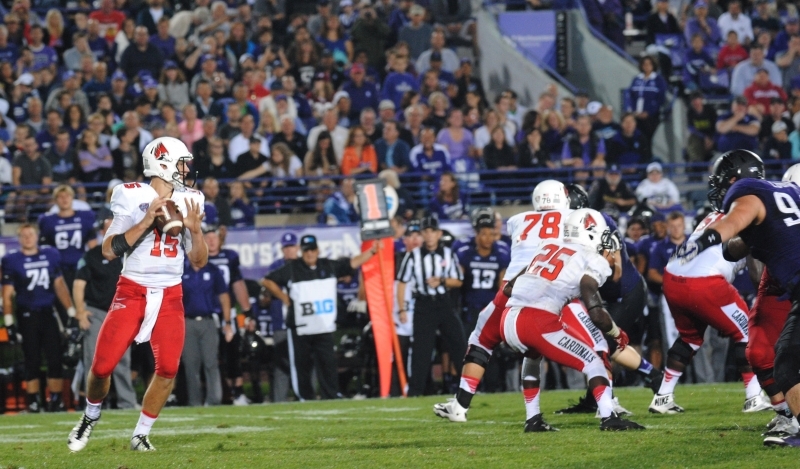 Failure to capitalize in these situations hurt Ball State in the loss to No. 17 Northwestern Sept. 26. Lynch said the main culprit is missed opportunities, which have plagued the Cardinals in crucial situations all year. The red zone has been the primary area of concern. Ball State is 8-of-19 on converting touchdowns inside the 20-yard line, resulting in a 42 percent clip. With Neal and running back Darian Green, the Cardinals' offense has succeeded in moving the ball down the field on the early downs. Against Texas A&M and Northwestern, Green broke off several long runs to put Ball State in enemy territory, but it had to settle for three. Coming into the game against Toledo, a team fielding one of the best defenses in the Mid-American Conference, freshman running back James Gilbert expects a different outcome for the offense in these types of situations. With Ball State’s struggles in the red zone, it will be an interesting matchup with Toledo’s stout defense down there. So far, the Rockets have held their opponents to one touchdown on eleven trips inside the 20-yard line. Even more impressive is that teams end up without a red zone score on fewer than 30 percent of the time (3-for-11). For the Cardinals to notch a key conference victory over Toledo (3-0) , they need to be able to convert more third downs and end up with seven points at the end of a possession instead of three. “They’re a really good defensive unit,” Lynch said. “They do a really great job at stopping the run. ... They’re big, they’re athletic.